Giants fans in San Francisco and beyond are certainly feeling good this Friday as the Giants celebrate a World Series victory with a parade! 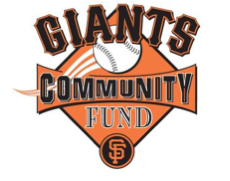 There's another reason the Giants are today's Feel Good Friday topic and that's the Giants Community Fund. For the last 20 years, the team has sponsored the Junior Giants. As explained on their website, the Junior Giants "is a free, non-competitive and innovative baseball program for boys and girls ages 5-18 years old." The Community Fund provides all the uniforms, equipment and training and serves over 21,000 kids. But it's not just about learning how to appreciate and play baseball. "Junior Giants focuses on the four bases of character development - Confidence, Integrity, Leadership and Teamwork - and offers programs in Education, Health and Violence Prevention." I would love to tell you more about it but I've got to get to the parade!